Summer 2017 efforts to rekindle Brushford Art Group. Cards and posters available for all my work. If its not in the shop just let me know. At the start of the year Claire Savill and Ceri Keen take over the Exmoor News. It shows some of the work I have done over the last 15 - 20 years or so - and its a way to say thankyou to Exmoor and its people. Here we go again - Exhibitiing ourselves!- Claire Savill, Three Creatives. 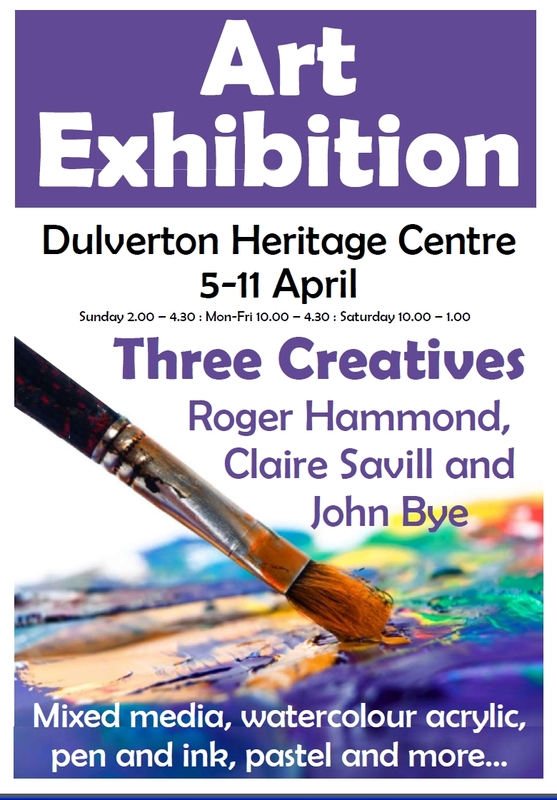 Claire has booked the Guildhall Heritage Centre exhibition hall from Sunday 5th April 2015 to Saturday April 11th 2015 at the Guildhall Centre, Dulverton (above the library). 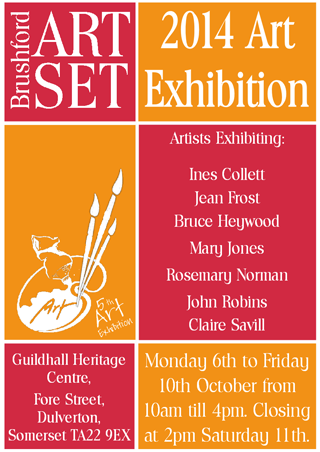 Works by Claire Savill, Roger Hammond and John Bye will be shown. New work being shown, in oil, acrylic, watercolour and sculpture. Some good old fashoned landscapes and portraits and some new work which is contemporary with a twist. Claire will be working at the show in the latter part of the week so do pop in and take a look. To view the catalogue please click here. Landscapes and portraits in watercolour, oil and acrylic. Townscapes and seascapes, specialising in animal portraiture. Artist working from life and photographs. Artist quality materials are used to create your unique portrait. Pet, horse and agricultural animal portraits, Exmoor ponies and more. Contemporary, digital or traditional works. Please click on the gallery to view the animals, places and scenes and still life and floral pages. 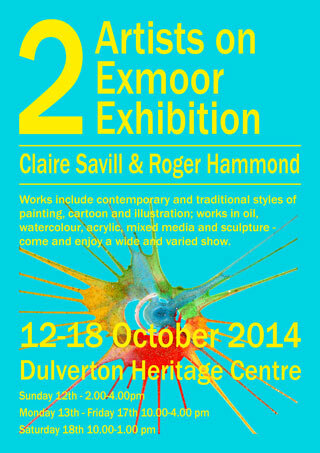 Here we go again - Claires 7th show called Claire Savill and Roger Hammond Two Artists on Exmoor. Claire has booked the Guildhall Heritage Centre exhibition hall for Sunday 12- Friday 17 October 2014 at the Guildhall Centre, Dulverton (above the library). New work by Claire and Roger Hammond being shown, in oil, acrylic, watercolour and sculpture. Some good old fashoned landscapes and portraits and some new work which is contemporary with a twist. Claire and Roger will be working at the show for someof the week, so do pop in and take a look. Here we go again - Claires 5th show called Claire Savill, an artist at work. 11am-2.00pm Sunday, 10am to 4pm Monday to Friday, Saturday 10am-2pm. New work being shown, in oil, acrylic, watercolour and sculpture. Some good old fashoned landscapes and portraits and some new work which is contemporary with a twist. Claire will be working at the show so do pop in and take a look. Some work by John Robins and Mary Jones will be included. For Graphics, Office and IT services. 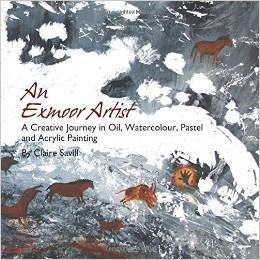 Free to artists and craftspeople on Exmoor to promote and showcase their work. Please check it out and pass on the news via Twitter and Facebook if you can. Lets get this ball rolling!